Writing in car, now with inverter to ensure iPad stays charged. 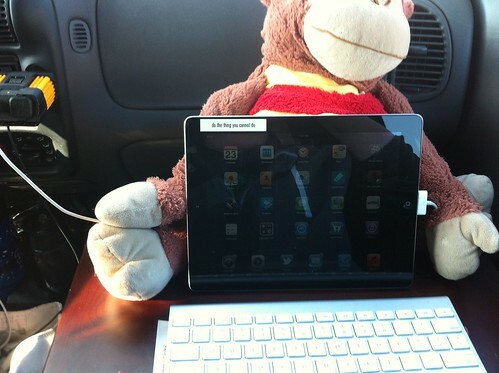 Also, monkey plays critical role in keeping iPad from falling over. Trial and error involved in this set-up.